In this post, we’ll go over a few tips on holiday email marketing that will help you improve your Christmas campaign, including some creative ideas on how you can use happy holiday email subject lines to boost your conversions this year. Ready, set, ho, ho, ho! Santa might receive wish lists, but how he executes his purchases is entirely up to how you reach out to him. To avoid him checking his list twice this Christmas season, capture his attention with your first channel of communication – email. In fact, email accounted for over 20% of online sales during the holiday period in 2017. Still need convincing that email marketing holds the key to your online store’s success? 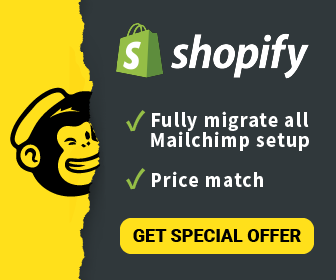 Consider that in 2017 Shopify reported that over the weekend of Black Friday to Cyber Monday, November 24th to 26th, Shopify store owners generated over $1 billion in sales, collectively. This means that Shopify merchants were processing as much as $1,138,574 per minute in sales compared to the $555,716 per minute peak in 2016. Therefore, having a solid email marketing campaign is key to ensuring your products are wrapped and waiting under the Christmas tree this holiday. How can you be sure that Santa does all of his shopping at your eCommerce store? Cookies and milk won’t be enough. Two key factors to a successful email campaign are great happy holiday email subject lines and automation. Blasting your email list with your holiday sale isn’t the solution to achieving results this Christmas. After all, what’s the use in sending emails if no one actually opens them? The majority of email recipients decide on whether to open an email purely based on the subject line, so, you need to personalize subject lines as much as possible. This is why a top priority for your holiday email campaign is to create eye-catching and attention-grabbing holiday email subject. Let’s check out some holly-jolly happy holiday email subject lines to jingle-bell-rock out your Christmas email campaign! Why it works: Promotes sales and savings, and the more personalized, the more value. Holiday shoppers are looking for mind-blowing deals. Show them you have what they’re looking for. We’re Feeling Merry. Santa Gets Free Shipping on Christmas Orders! Jingle, Jingle Our Christmas Sales Have Begun! Earlybirds Get Additional 10% Savings! We’ve Made Our List, Checked it Twice, (recipient name) Gets 30% Off Our Christmas Sales! Why it works: Makes gift giving easier. Offers savings and solutions/purchase suggestions. Don’t Forget to Stuff Their Stockings! Get 15% Off Site Wide! T’was the Night Before Christmas…Shop Our Last Minute Gift Ideas! From: Santa’s Helpers: Save 15% on (Toys, games, children’s gifts) at the Top of Kids’ Wish Lists! Why it works: Promotes your brand’s Black Friday sales. Creates value, offers savings, free give ways/door busters draw customers to your site and also can create a FOMO-like atmosphere, which drives up sales. Okay, You Can Put Down the Drum Stick…Our Black Friday Sales Have Officially Started. It’s Better to Give AND Receive: Get an Additional 10% Off all (your section of products) when You Shop Our Cyber Monday Sale! However, holiday email subject lines are just the start. You also need to be sure that once they open that eye-catching email, your customers will find relevant information that caters to them specifically. Add some twinkle lights and optimize your Christmas email marketing campaign! As we said above, holiday email subject lines are only one component to any successful Christmas email campaign. Marketing automation is also key as it moves you beyond mass emails to a system that allows you to segment, retarget, track, analyze, and make corrections. All you need to do is use your best Christmas subject lines, address your customer by name, recommend products they have either viewed or purchased in the past, anticipate upgrades for future shopping trips, and ho, ho, ho! A stellar automated marketing campaign with all wrapped up with a bow on top! Implement the Christmas subject lines in each email automation you set up. Design festive Holiday-themed pop-ups to capture emails/promote your seasonal offers. Use attention-grabbing holiday themed, GIFs. Think pets. Videos of cats and dogs interacting with products are a major Christmas seller! Use a festive holiday color palette for your email templates. To make this Christmas the most wonderful time of the year for your eCommerce shop don’t leave out these creative eCommerce ideas from your happy holiday email campaign. In order to grow your sales, you need to have a solid Christmas email campaign, and the success of that campaign relies greatly on implementing happy holiday email subject lines along with relevant, targeted and personalized content. Add marketing automation to your holiday wish list to trigger timely and effective emails to keep your customers engaged with your brand. T’is the season to shop and ContactPigeon combines behavior and eCommerce data in one easy-to-use platform to help e-shop managers evolve, grow their shops, and increase sales. See how ContactPigeon can drive growth for your eShop.